Take-Two Deal Was a "Waste of Ink"
Electronic Arts Chief Executive Officer John Riccitiello, who believes Take-Two's stock and shareholders want an acquisition, is considering the lost deal as a "waste of ink, primarily in the New York Post." If I spent half a year and billions of dollars to try and acquire a competitor with a lavish offer and the deal collapsed, I'd probably be at least a bit bitter. John Riccitiello, whose public battle to takeover Take-Two Interactive came to a close a couple weeks ago when the Take-Two Board of Directors dismissed EA's acquisition offer, isn't sweating the events of the past year. 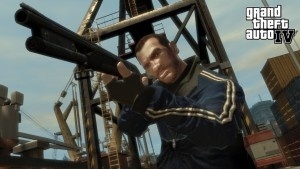 The initial offer was proposed in February, months prior to the next release in Take-Two's top franchise, Grand Theft Auto IV. EA pressured Take-Two because ""time was of the essence, because we wanted to impact holiday 2008 sales of Grand Theft Auto IV," according to Riccitiello. He believes his company acted patiently, listening to Take-Two's request for deliberation time. "Take-Two told us to wait and that they wanted more money. We waited. We went through a variety of steps. The gap [in price] remained," explained the EA executive. Riccitiello still doubts Take-Two's ability to remain independent. His feels his decision to assist Take-Two was possibly charitable, as he wanted "to help that company get through what has been an uneven profit experience," while many of Take-Two's non-GTA or Bioshock have failed to recoup development costs or increase profits. A representative of financial services company BMO Capital Markets doesn't feel EA needs Take-Two. Instead, the big losers were Take-Two shareholders, especially traders betting on the acceptance of the deal to reap high buyout gains. Many of them have taken losses as the deal, the general market and Take-Two's share price have all collapsed. BMO doubts there is another stock savior on the horizon with the current short of the economy. The company wrote, "We do not believe there is another serious bidder for Take-Two in the short term."